The brand is vegan, microbead-free and cruelty-free. They focus on using natural extracts from plants, instead of synthetic chemicals or ingredients in their formulations. Often with companies that claim to be "natural" it's all greenwashing with very little research, but I do honestly appreciate these formulations and I love that they're not laden with fragrance like most "natural!!" companies are, as often natural fragrance can be just as irritating to sensitive skin as synthetic ones. I also hate putting anything overly perfumed into my face. "The beauty industry contributes a huge amount of plastic waste and we're keen to change that! Our tubes are made of sugar cane, and while they look like plastic, they definitely aren't." One to grab, for sure. The consistency of this product is very thick for a face scrub, you don't need much at all and it feels very luxurious. It's more like a 2-in-1 cleanser and scrub - I wouldn't double cleanse and then use this, I would use an oil cleanser and then this afterwards, as to not risk being too abrasive on skin. This is a great product that doesn't leave you feeling like your face is the sahara desert. This really does leave your skin feeling super soft and hydrated. The "scrubby bits" are actually jojoba beads: a great Microbead alternative. They're so much more gentle on the skin and far better for the environment. This is a dry-skin saviour with ingredients like Sweet Almond Oil, Grapeseed Oil and Marsh Mallow Root Extract. It turns very milky and rinses easily once you're done at the sink. The scent is very subtle but enjoyable - a fruity, tangy, lime scent. Babe Balm can be used as a cuticle oil, moisturiser, subtle highlighter, lip balm, salve... the list is endless. Where you have dryness, this product will fix it. It's like an ultra-dose of hydration. I again have to praise BYBI for excluding horrible fragrances from their products. This is a dream to use as yes, it still smells nice, but it's not overwhelming or irritating on the skin. To give it the peachy colour, they even added Sweet Potato into the mix - madness. The balm contains ingredients like Squalane, Vitamin E and lots of amazing plant-extracts and oils. It's the perfect size for on the go, and you can't really go wrong with a multipurpose balm like this. I love this product and you will too. 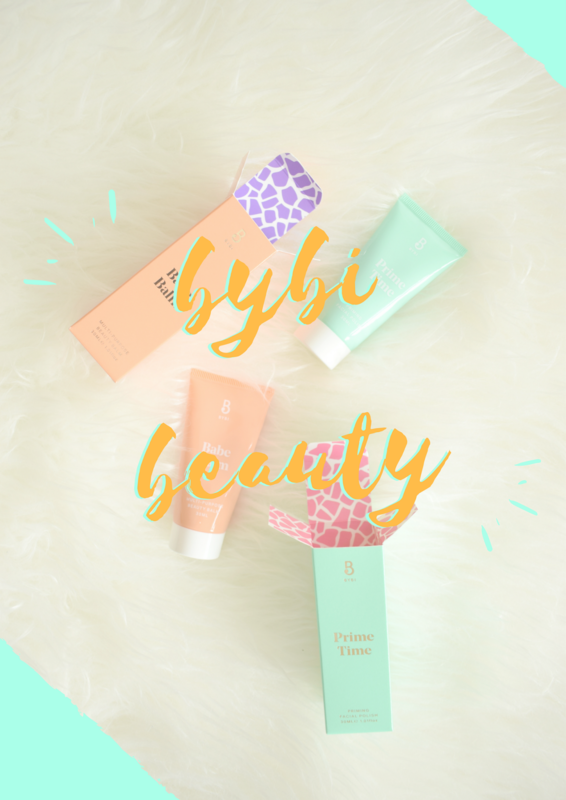 Have you tried anything from BYBI Beauty yet? I love that their products are made of natural extracts from plants and, as for the packaging - so cute and environmentally friendly - totally a winning combination! All natural product and with packaging made of corn! Wow thats innovation! I am inlove with BYBI already! Hope to finish my old products real soon so I can test BYBI! Sounds like it'd be great for my sensitive skin! These products sound so luxurious. I clicked to view the cost, and they seem to be priced about the same as other high-end products, which is good. WOW, I just love the creative and unique idea of this. Sugar cane cubes are simply genius! Love your blog! Thanks for sharing. I love hearing about products are that are uniquely made with founders who try to be Eco-friendly in their production process. This awesome! Also following you on Pinterest and Instagram. I love all natural products. Lovely review post. UNI ADVICE: Do You Really Need A Macbook For Uni?